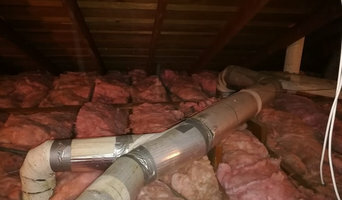 Attic Leader - Insulation Contractors In Oxnard, CA Attic Leader is a trusted insulation contractors providing attic cleaning, crawl space cleanup and insulation removal services across Oxnard and the entire Ventura County, CA. 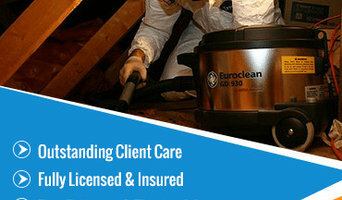 We offer attic cleaning, decontamination and insulation services in Oxnard and the entire Ventura County, CA from our offices located at 220 W 7th #55, Oxnard, CA 93030. 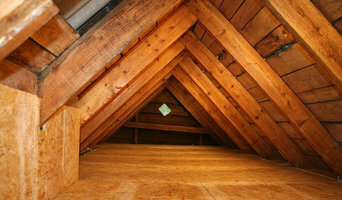 So, get in touch with us and have your attic, duct/vent system and crawl space just like you have dreamed of. We are armed with great expertise and state of art equipment which complies with the latest industry standards. We make sure that you get the best and the most reliable quality services at affordable costs. Utmost priority is given to safety and damage control while dealing with all the issues no matter how complicated they are. So, contact us today and get the very best in attic cleaning/insulation, air duct/vent cleaning crawl space cleaning in Oxnard and the entire Ventura County, CA. So what are you waiting for? Get in touch with us at atticleader.com or give us a call on (877) 540-5427! We value your convenience, insulation is the best investment you can make in a long-term residence. McCarthy Companies is a West Coast leader in the real estate development and building industries. Located in Ventura County, California, we are a residential home developer. We successfully develop and build detached single family homes, multifamily apartments, senior apartments, townhomes, and historic rehabilitation projects with an emphasis on green and sustainable means and methods. Our projects range from $5M - $40M. We connect with clients by means of joint venture partnerships, unique development opportunities, and as a preferred builder. With every project we strive to deliver the McCarthy experience. Thank you for your interest in learning more about McCarthy, we look forward to partnering with you on your next venture. Be sure to check out our social media sites for up to date happenings and information about our projects! Allen Construction, an employee-owned company, delivers award-winning residential and commercial projects throughout the regions we serve. Founded in 1983, we are proud to be a nationally-recognized, award-winning builder. Allen Construction’s mission is to be the most innovative builder by wowing our clients, honoring our people, perfecting our craft, and improving our planet. We believe in building better buildings. The way we do this is by staying ahead of the curve in the construction industry; understanding what it takes to make healthier, more comfortable and energy efficient spaces and structures; and hiring the best craftspeople to accomplish the job. As a result, we are experts at building and remodeling both homes and businesses. Our Care & Repair division provides expertise with Kitchens & Baths and assures that the homes we build and remodel remain in top-notch shape. We have earned national, regional, and local awards for our work on myriad home styles. To view a selection of our residential and commercial work, please visit <a rel="nofollow" target="_blank" href="http://www.buildallen.com">http://www.buildallen.com</a>. 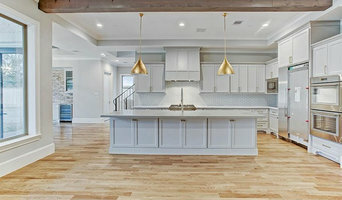 LA Area Remodeling and Home Builders Professionals - Best of Houzz! General, or construction contractors, are often known as project managers. They oversee the entire remodeling or new home construction project and facilitate all day-to-day tasks that move it toward completion. A Fillmore general building contractor will work with your architect to review plan as you build a house and ensure everything is in place before work is started as well as arrange for permits and necessary inspections. While good local home improvement contractors in Fillmore will have the skills to handle certain tasks onsite, such as carpentry, he or she is also responsible for hiring subcontractors for the majority of jobs, such as electrical work, painting or plumbing. In addition, the general contractor should be on-site regularly to inspect the progress and resolve issues. Here are some related professionals and vendors to complement the work of general contractors: Architects & Building Designers, Interior Designers & Decorators, Landscape Architects & Landscape Designers, Kitchen & Bath Designers, Specialty Contractors. Home remodeling contractors are a must for successful completion of a renovation. Because of this, it's essential that you do your homework before deciding on the right general contractor in Fillmore as you remodel or build a house. Inspect bids carefully. Was it ready when the contractor promised it? Was the bid for building a home unusually high or low? Each of these things can be very telling: A late bid may reflect timing standards, and an off-the-mark bid could be code for a pricey premium or a deliberate underbid to score the remodeling job. You should call references, carefully read reviews and visit completed projects in Fillmore, CA to see if they’re what you expect for your job. Once you do secure your local Fillmore contractors, read the contract very carefully to be sure everyone is on the same page. Find a Fillmore contractor on Houzz. Narrow your search in the Professionals section of the website to Fillmore, CA home contractors. You can also search for photos in Fillmore, CA and contact the Fillmore general contractor who worked on the project.